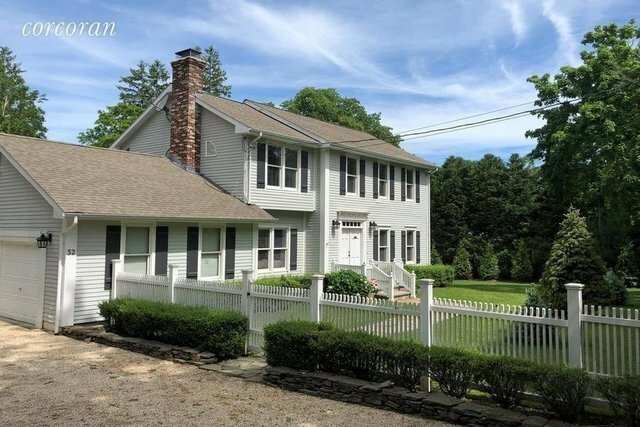 This lovely Colonial in the Village of Sag Harbor has been recently renovated with new kitchen and bathrooms. It's just a few blocks from beautiful Havens Beach and about a mile into the heart of the village. The living and dining room as well as the open kitchen and family room with fireplace nicely define the living spaces. There are 4 good size bedrooms and 2-1/2 baths. The outdoor entertaining spaces are great with two spacious decks as well as expansive green lawn areas for fun and play. Well established hedges and trees provide maximum privacy yet the home is light and bright. A sunny heated gunite pool completes the package. 2 car garage.